A cropped version of the Flirt, the Tease is a sheer underbust corset with mini-panniers. Lacing details accent the panniers and front waist. This impactful style can be worn layered over a sheer or printed dress to emphasize its sheer fabrication. 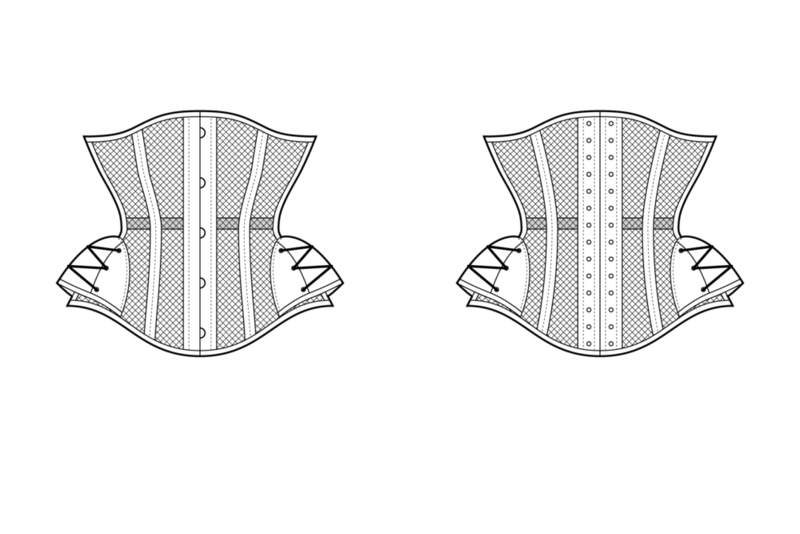 The mini-panniers detach so the corset can also be worn as a foundation piece.